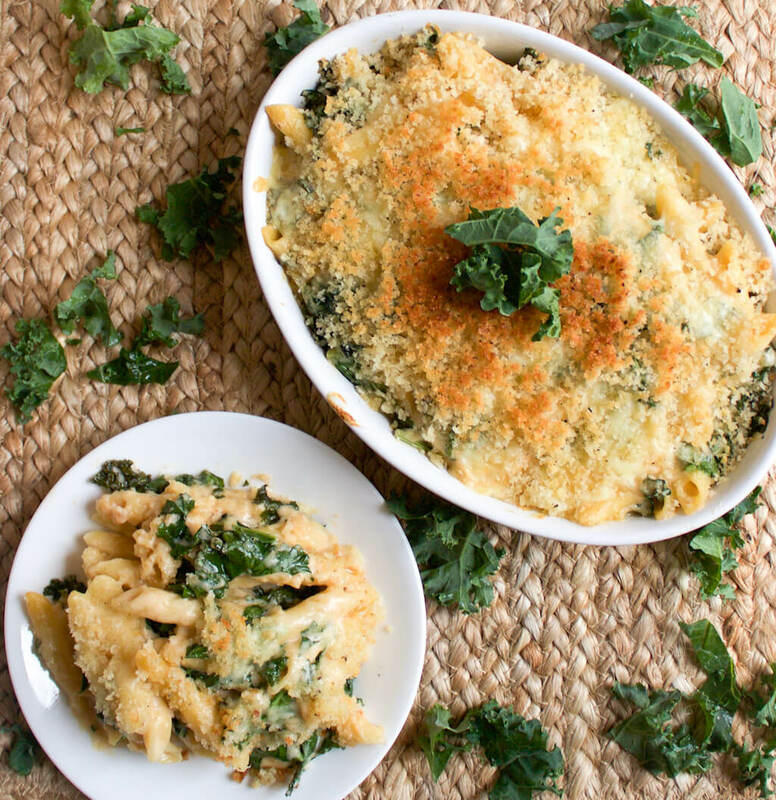 This dish is a great way to introduce kale to kids. Leafy greens can be particularly difficult to get kids to try. But when it’s mixed with hearty pasta, covered in creamy cheese, and topped with crunchy breadcrumbs, it’s practically irresistible. 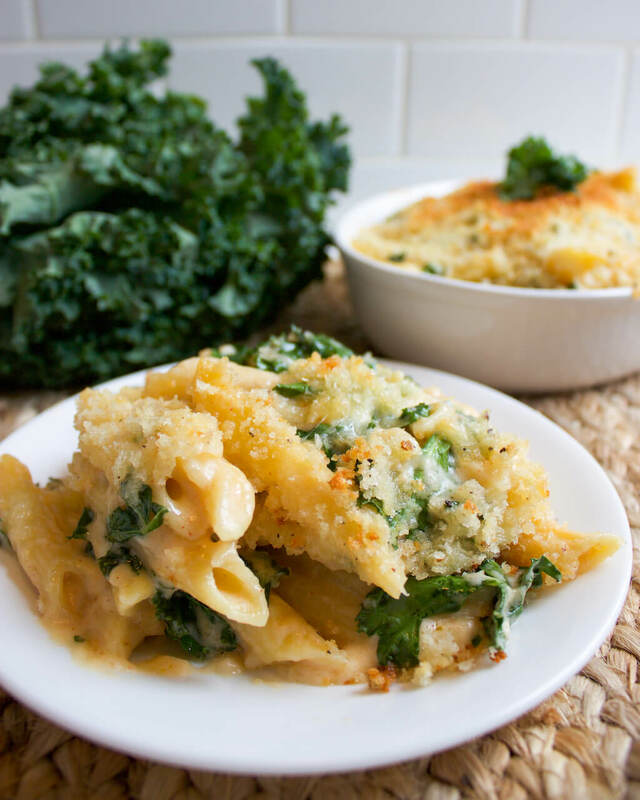 Cheesy Kale and Penne Bake can be served as a main dish or a side dish. If you are serving it as a main dish, consider serving a green salad and garlic bread alongside it. Or serve it as a side to a protein of your choice. Chicken breast, pork chops, and baked cod are all great options. 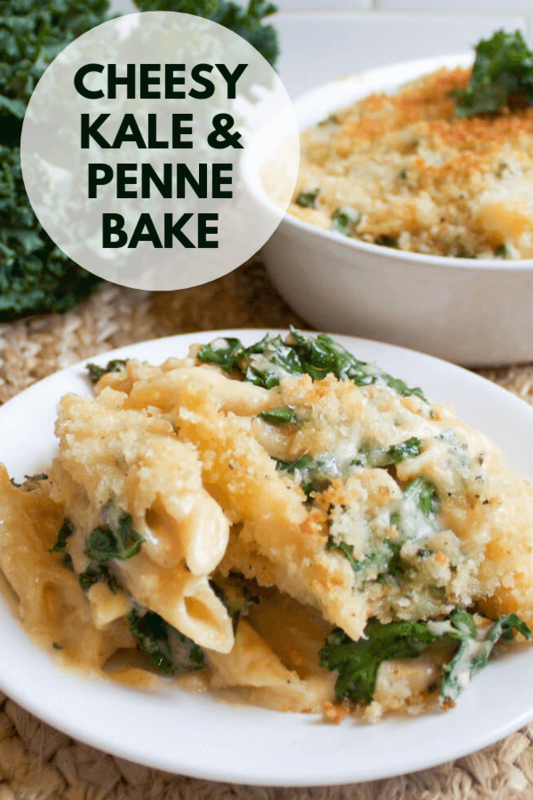 Because it’s served in a casserole dish and pairs well with so many other foods, Cheesy Kale and Penne Bake is a great recipe for potlucks and pitch-ins. Make pasta according to directions on the back of the package. Melt 2 tbsp of butter in a small skillet. Toss breadcrumbs in butter to coat them. Set aside in a bowl. Melt remaining butter in a small sauce pan. Add onions and cook for 1-2 minutes or until softened. Add salt, pepper, paprika and stir to combine. Cook for 1 minute over medium-low heat. Add milk to sauce pan and bring to a simmer. Stir frequently. Remove sauce pan from heat and add cheese. Stir until smooth. 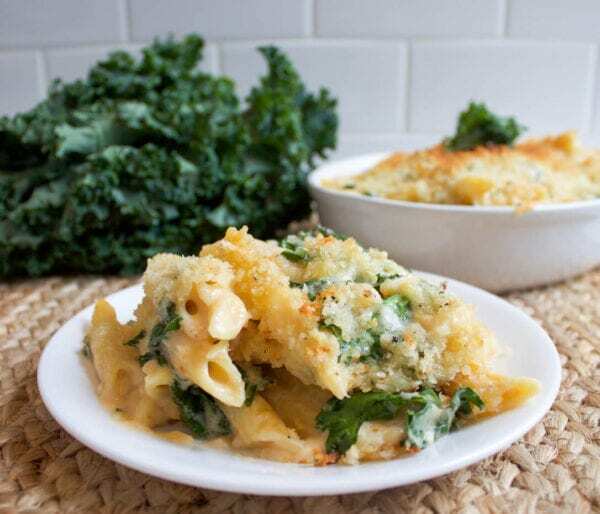 Combine pasta, kale, and cheese sauce in a large mixing bowl. Place mixture into a large baking dish and top with breadcrumbs. Bake at 400 degrees for 15 minutes, or until breadcrumbs turn golden brown. At just 33 calories, one cup of raw kale has nearly 3 grams of protein and 2.5 grams of fiber. It also contains vitamins A, C, K, and folate, a B vitamin that’s key for brain development. Kale gets its dark green color from lutein and zeaxanthin, nutrients that protect against macular degeneration and cataracts. Alpha-linolenic acid, an omega-3 fatty acid, is also found in kale. It’s no wonder that kale is touted as one of the healthiest foods in the world. 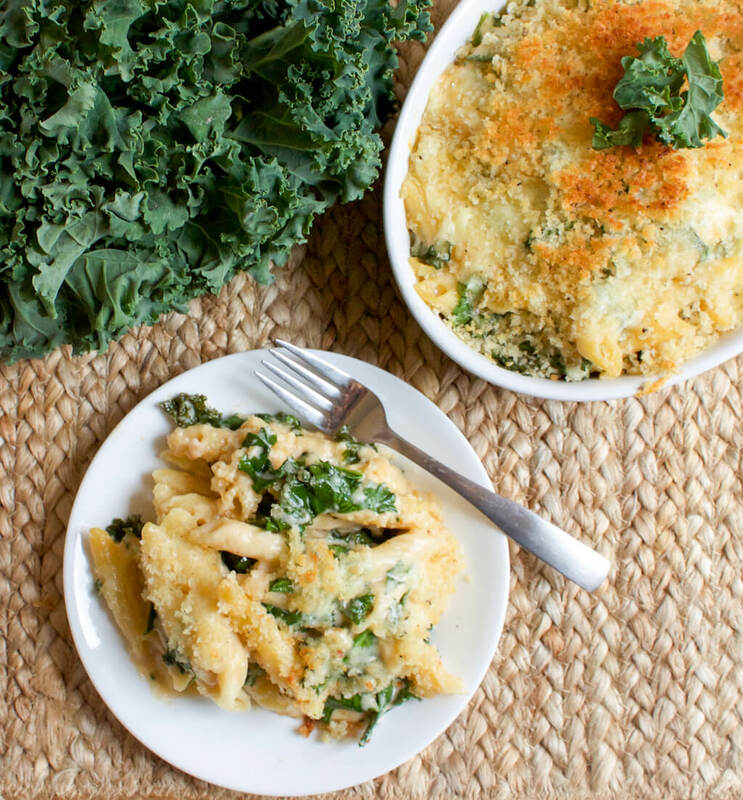 What’s your favorite way to serve kale? Share in the comments below!